As discussed in a previous blog, at Scharm Floor Covering we don’t just install flooring. We also install custom backsplashes in kitchens and bathrooms throughout the Chicago suburbs. 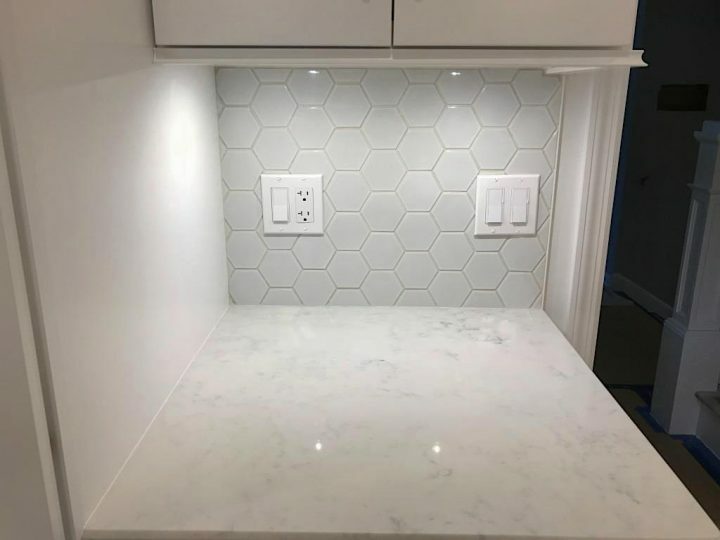 No matter the look, feel, or style you are going for, we can install a beautiful, professional backsplash in your home. 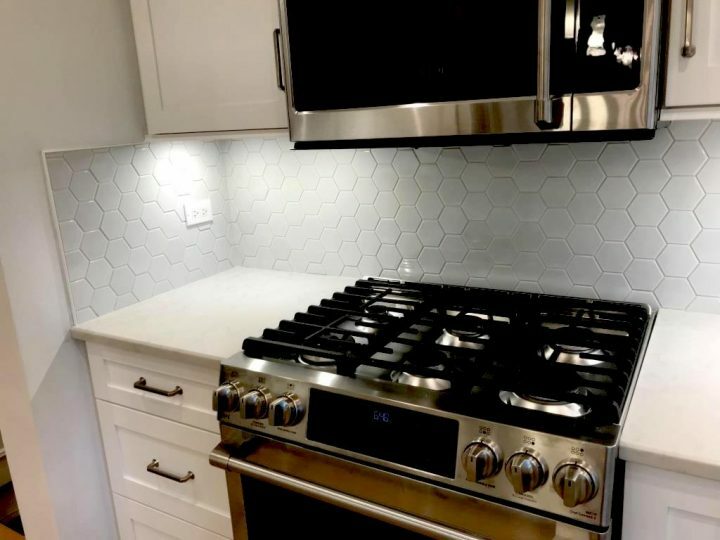 Whether you’re looking to increase the value of your home, renovating your space, or just want an upgrade, backsplashes are the perfect addition to your kitchen or bathroom. 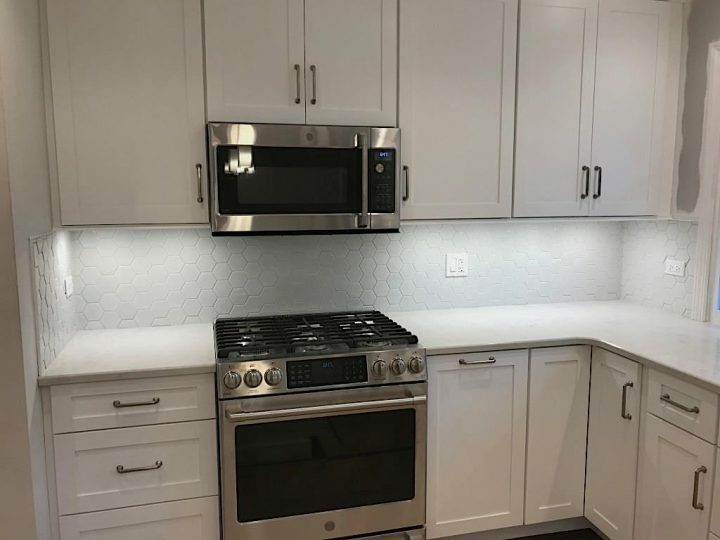 Backsplashes are great because they help serve as an accent in your kitchen – typically complementing the colors of the wall and countertops and adding a level of style and sophistication to your space. They also help protect the walls from splashes and stains and provide an easy surface to clean up any sauce splatters. At Scharm, we have years of experience installing backsplashes in Des Plaines and the surrounding area. 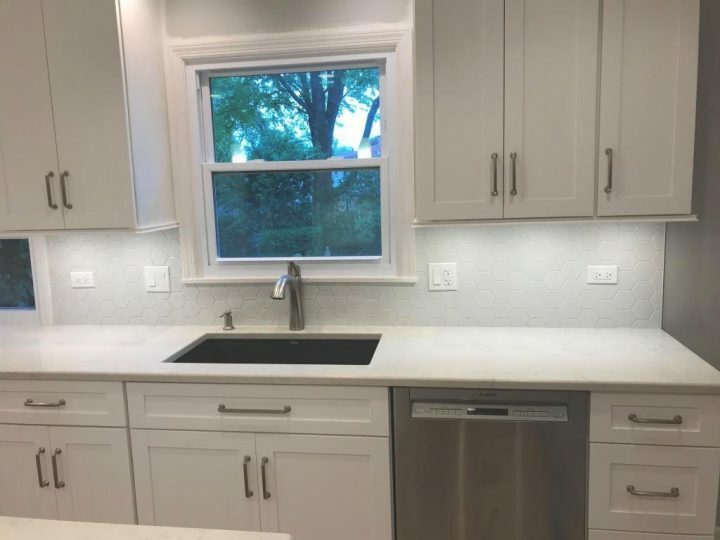 We recently installed a new kitchen backsplash for Christy & Brian Wolf as part of a full kitchen remodel by Tim Majer of TC Majer Carpentry. 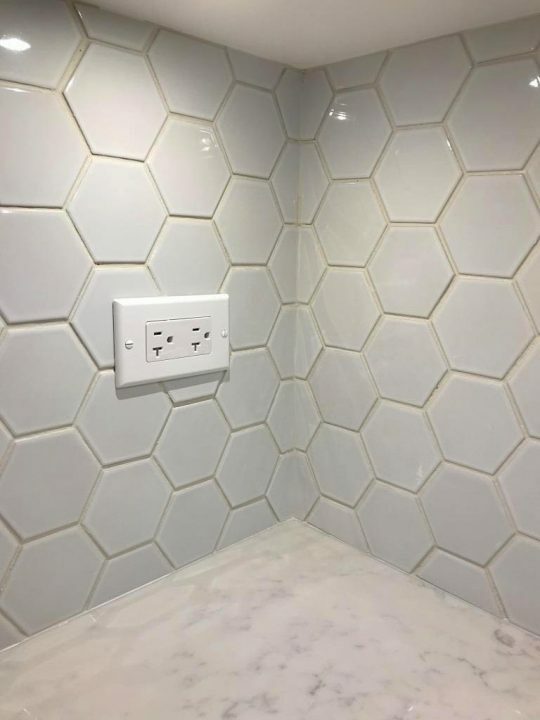 We added a white hexagon ceramic tile to their kitchen to serve as an accent piece. Drawing from the gray tones in the marble countertop, this backsplash fits perfectly in their kitchen and gives it a more modern feel. 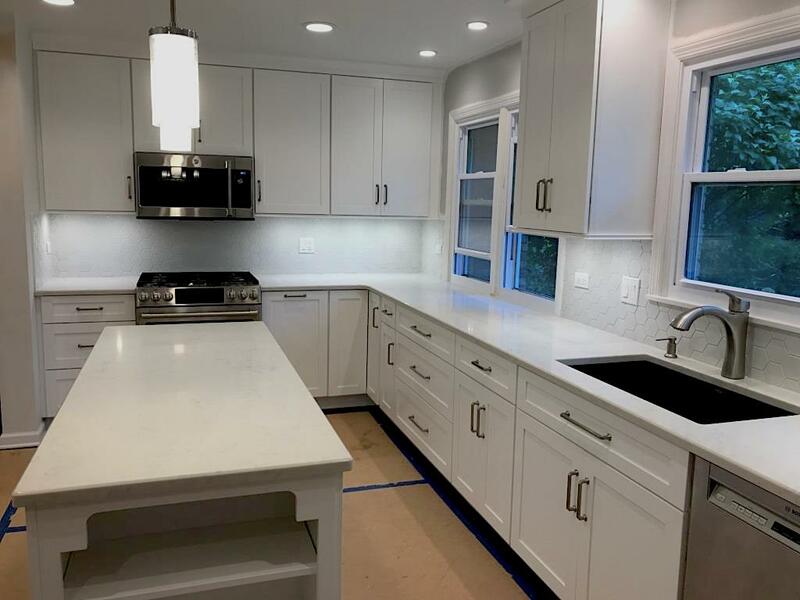 In fact, the counters appear gray because of the reflection of the lights hitting the gray walls in the kitchen – which provides an interesting effect! The hexagon shape provides visual interest and offers a unique feel. We enjoyed working with Christy & Brian and were happy to help them update their space. Brian T. Wolf is a real estate agent with RE/MAX in Rolling Meadows, Illinois. A highly experienced real estate agent, he has even written a book – Selling Houses: EXPOSED. 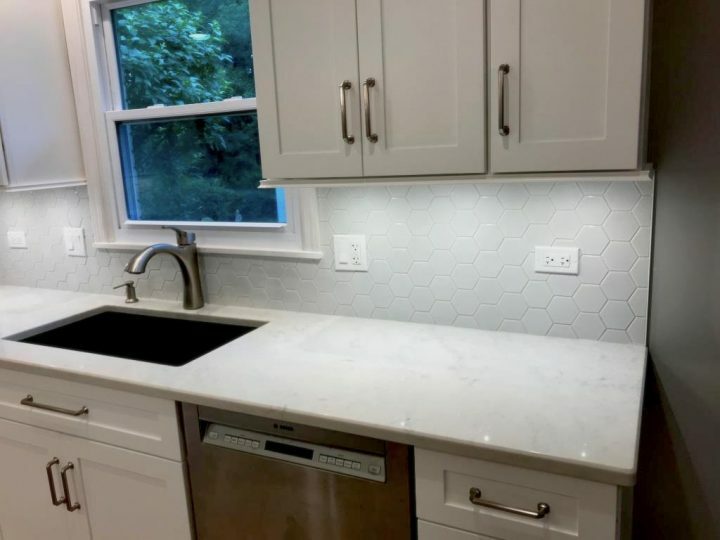 Browse the photos below to see Brian & Christy’s gorgeous new backsplash! Interested in installing a new backsplash in your home? 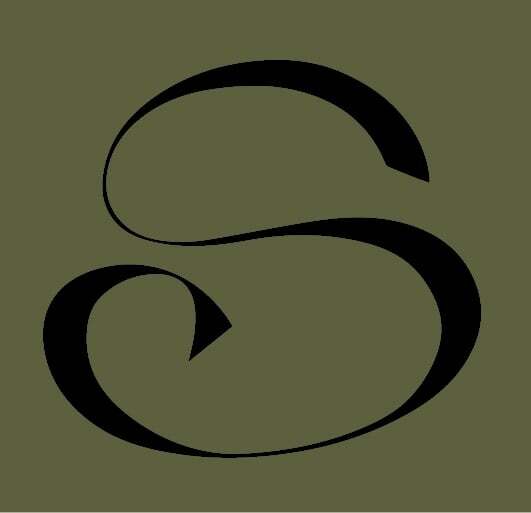 Contact Scharm Floor Covering today, or give us a call at (847) 298-8233.